The Brudner Prize, established in 2000, is awarded annually to an accomplished scholar, artist, or activist whose work has made significant contributions to LGBT studies and LGBT communities. The Brudner prize winner gives a Prize Lecture at Yale and in New York City. The prize comes with an award of $5,000. James Brudner was an AIDS activist, urban planner, journalist, and photographer. A man of wit and compassion, outsized knowledge and curiosity, Jim valued both academic inquiry and direct action. He spent 12 years as a policy analyst for the City of New York. He also earned an MA in journalism from New York University and wrote for various publications on gay- and AIDS-related topics. 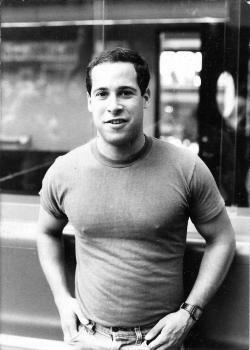 Jim became a member of ACT UP, the Treatment Action Group, and other organizations after the death of his twin brother, Eric, of AIDS in 1987. He worked on treatment and prevention issues with the National Institutes of Health, pharmaceutical corporations, and federal agencies. In his final years he devoted much of his time to traveling the back roads of rural America with a camera. La Mama Gallery in New York mounted an exhibition of his photographs in 1997. Jim died of AIDS-related illness on September 18, 1998 at the age of 37. Through his will, he established the Brudner Prize at Yale as “a perpetual annual prize” for scholarship and activism on gay and lesbian history and contemporary experience.